Buy or Build your own Shakotan JDM? Japan…The Land of the Rising Sun. It’s also the Land of Low Cars. These low down style cars are called Shakotan. In Japanese, シャコタン or 車高短. The easiest way cars were lowered was by cutting the coils. Nowadays you can install new springs, install hydraulic cylinders and so on. When I grew up in Okinawa, Japan, my aunt used to take me to the street races on Route 58 to watch the shakotan and other modified cars race down the street while many watched from the pedestrian bridge and side walks. The location where the races were was by the American military housing base so I`m sure it kept the Americans awake at night. The thrill of speed and sound is hard to forget. In a country with strict rules everyone knew that the JP, Japanese Police, would show up eventually but that didn`t keep people from gathering to watch the races in Chatan. 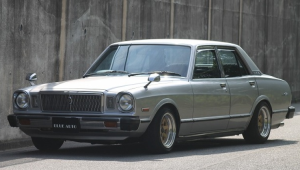 Recently, we had a client in Germany who wanted to purchase a 1978 Toyota Corona Mark II. Boy, was it a beauty! Who would have thought there was a market for such a car in Europe? It took a little negotiating with a dealer near Tokyo but with some convincing we were able to buy it for the client. The car is now on the ship to it’s final destination in Germany. I can only imagine the looks on people’s faces when the owner drives this beauty in the streets surrounded by Volkswagens, Opels, BMWs, Mercedes-Benz, Porsche and Audis! 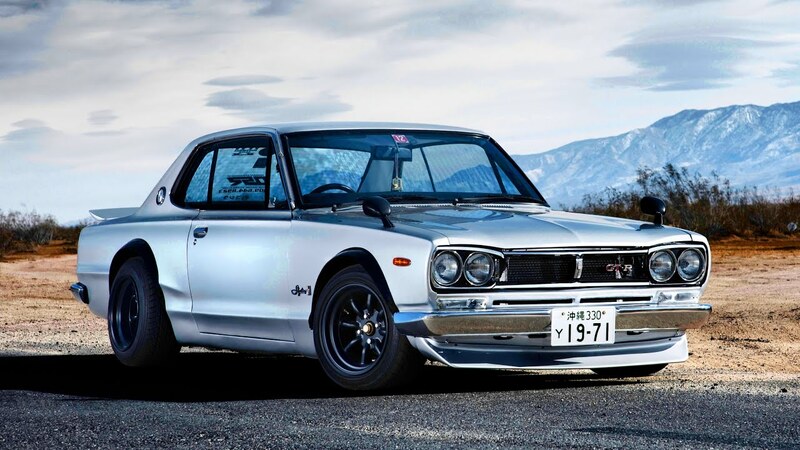 One of my all time favorites is the “Hakosuka” 1971 Nissan Skyline 2000 GT-X. I love the simple modifications but some people love to go all out with the 竹やりマフラー(Takeyari Muffler) or bamboo spear mufflers, over fenders, removing the muffler and catalytic converter to create 爆音（bakuon） or explosive sound and put chin spoilers upfront. Some might ask, “How can I get a Shakotan or a Japanese vintage car?” One of the best ways is to buy at a Japanese auto auction through a full service exporter like Provide Cars Ltd in Japan. They can help you get a car at auction prices and ship the car to a port near you. Here are some examples of which JDMs have been typically used as shakotan cars. You can lower your Ford or Mercedes. But you can’t officially call it a “Shakotan” unless it’s a JDM! So the question is, “Do I buy a shakotan or do I build one? My advice? Make your own. Transporting a Shakotan can be a challenge for the transporting company. With the right tools turning your JDM into a shakotan is not that difficult. Whether you make it a shakotan or not Japanese Domestic Market cars are hot so get one while you can.